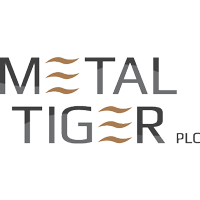 Shares of Metal Tiger PLC EPIC code: LON:MTR has stepped up 30.61% or 0.38 points during today’s session so far. Buyers seem confident during the trading session. The periods high has reached 1.64 and a low of 1.24. The amount of shares exchanged has so far reached 21,940,415 with the daily average at 4,837,093. The 52 week high price for the shares is 3.44 which is 2.21 points in difference on the previous days close and a 52 week low being 1.08 is a variance of 0.15 points. Metal Tiger PLC has a 20 day moving average of 1.27 and now a 50 day moving average now of 1.48. Market capitalisation is now £21.51m at the time of this report. The currency for this stock is GBX. Market cap is measured in GBP. This article was written with the last trade for Metal Tiger PLC being recorded at Monday, January 21, 2019 at 11:56:03 AM GMT with the stock price trading at 1.6 GBX. The stock price for London Stock Exchange Group Plc EPIC code: LON:LSE has stepped up 1.01% or 45 points during today’s session so far. Investors have so far held a positive outlook during the trading session. The period high was 4507 while the low for the session was 4453. The total volume of shares exchanged through this period comes to 98,361 with the average number of shares traded daily being 1,148,108. The 52 week high is 4814 around 360 points in difference on the previous days close and a 52 week low being 3691 which is a variance of 763 points. London Stock Exchange Group Plc now has a 20 SMA at 4256.76 with a 50 day moving average at 4143.11. Market capitalisation is now £15,664.14m at the time of this report. The stock is traded in GBX. Mcap is measured in GBP. This article was written with the last trade for London Stock Exchange Group Plc being recorded at Monday, January 21, 2019 at 12:03:14 PM GMT with the stock price trading at 4499 GBX. Shares in NMC Health PLC EPIC code: LON:NMC has gained 1.96% or 54 points during the course of today’s session so far. Traders have remained positive during the session. The period high has peaked at 2818 and a low of 2760. Volume total for shares traded during this period was 46,673 with the daily average traded share volume around 514,772. The 52 week high for the shares is 4376 amounting to 1618 points difference from the previous close and the 52 week low at 2508 making a difference of 250 points. NMC Health PLC now has a 20 simple moving average of 2813.53 and now its 50 day moving average of 3166.98. This puts the market cap at £5,854.88m at the time of this report. The currency for this stock is Great British pence.Market cap is measured in GBP. This article was written with the last trade for NMC Health PLC being recorded at Monday, January 21, 2019 at 12:02:02 PM GMT with the stock price trading at 2812 GBX. Shares in Pearson plc found using EPIC: LON:PSON has moved up 1.02% or 9.4 points during the course of today’s session so far. Investors seem confident during this period. The period high has peaked at 935.4 meanwhile the session low reached 917.8. Volume total for shares traded at this point reached 465,341 with the daily average traded share volume around 3,807,371. The stock 52 week high is 1030 about 104.6 points difference from the previous days close and the 52 week low at 651 which is a difference of 274.4 points. Pearson plc has a 20 day moving average of 972.73 and now a 50 day moving average now of 957.56. The current market capitalisation is £7,301.52m at the time of this report. The stock is traded in GBX. Mcap is measured in GBP. 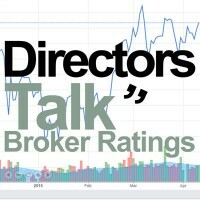 This article was written with the last trade for Pearson plc being recorded at Monday, January 21, 2019 at 12:02:20 PM GMT with the stock price trading at 934.8 GBX. Click LSE MTR NMC PSON for the full archive.